I often find that for whatever reason I tend to breeze through the topic of Spanish speaking countries and capitals. This year I pre-tested student knowledge of the topic by giving them a blank map and asking them to write in as many Spanish speaking countries, along with the capital, in the correct location on the map. Let's just say that the results were LESS. THAN. STELLAR. I find that when students are asked where in the world Spanish is spoken I get the standard responses of "Spain!" or "Mexico!" and, because I'm now in the Cayman Islands, "Honduras!" and "Cuba!" are popular choices as well. While they may be able to spout off a few countries that speak Spanish, can they locate them on a map? Can they tell the capital city? If your students are like mine...probably not. Because of this, I was determined to dedicate a bit more time to this topic this year in order to really help my students get a better grasp of geography before we dive in to studying individual countries and culture. 1. Map Labeling- I always start with showing a PowerPoint which highlights each country on a map. As each county is highlighted, I have students fill in their maps with the country name and capital. This year, since we are using interactive notebooks, they have a page in their notebooks dedicated to this map. You can check out these posters HERE! 3. Next, we add foldables to our interactive notebooks. 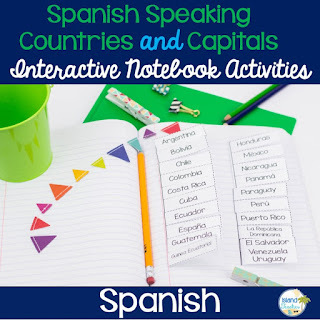 I created a set of interactive notebook activities to help students categorize the geographic regions of the countries and to learn capitals. You can check those out HERE if you'd like. 4. Students use their interactive notebook foldables to quiz themselves and each other. 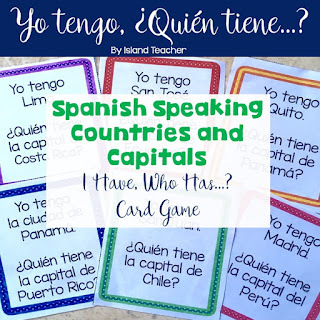 We also practice with a whole class game like "Yo Tengo...¿Quién tiene?" Countries and Capitals. 5. I show the countries and capital rap. It drives students crazy, but I think they secretly love it! ;) It's all over YouTube, here is one link. 6. To assess this unit, I re-test students using a blank map and they are able to see that their knowledge has (hopefully!) greatly improved! How to you teach countries and capitals? 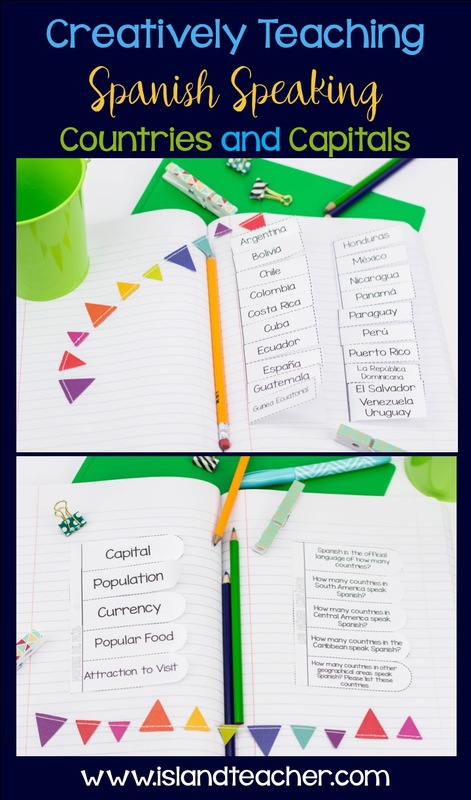 I am just about to start some lessons on Hispanic countries, and I was trying to think of a fun and creative way the older kids could begin to learn the countries off by heart - love love love the acronym idea! I'm going to set them the task of coming up with their own! Thank you for the inspiration! 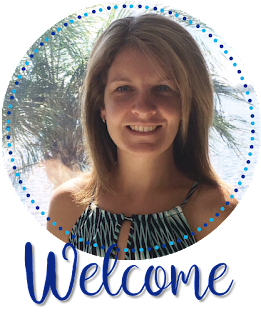 First of all i want to say thank you for this wonderful blog. It has lots of informative posts. I think student can learn more by this post. Thanks for sharing us. Do you have the Map Labeling template? ? Please I love the idea !!! Great ideas, how long do you spend on this unit? El Día de los Muertos Weekend Sale! Save some sanity part 2....Organize your week! Save some sanity...Organize your resources!